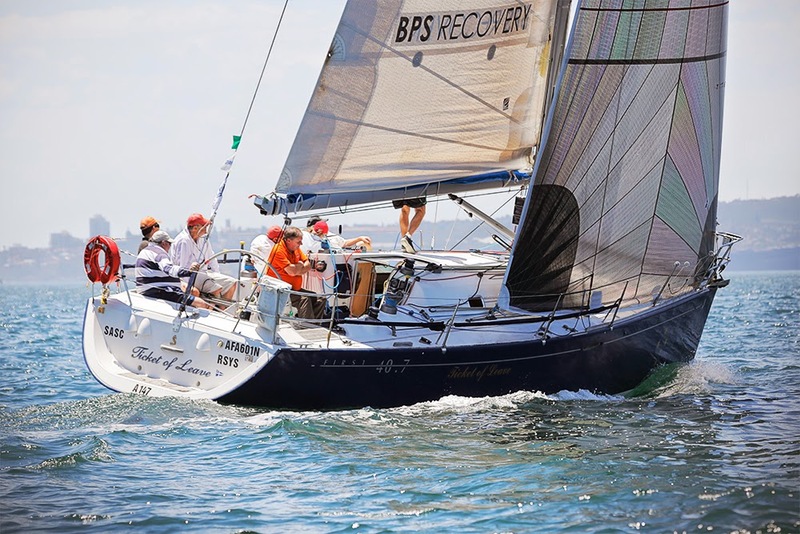 WHEN not engineering commercial outcomes from insolvent scenarios, BPS Recovery co-founder Max Prentice can often be found aboard his beloved Beneteau 40.7, Ticket of Leave, carousing, competing and, on more than the odd occasion, winning. Most recently, Prentice and an unlikely crew stunned the rest of the 39-strong fleet to take two line honours wins and a Division One non-spinnaker victory in the 23rd annual Sydney Beneteau Cup. With characteristic modesty Prentice said: "We found the courses fair and we blitzed the field", the "we" being Prentice and his crew, none of whom were under 60 years of age and which included Meyer Knight's Jon Meyer on mainsail, who turns 70 on December 30. "We have a lot of old farts on board, but that worked pretty well," Prentice added as the post-race celebrations kicked off. What do they say about old age and treachery? Clearly a winning, if malodorous combination. PROPERTY developer Sarkis Nassif has succeeded in postponing a grilling in the NSW Supreme Court after reaching agreement with liquidators to vacate a planned public examination. Consent orders to vacate five days of examinations into the affairs of 82 - 84 Belmore Street Pty Ltd were made last week, despite Justice Ashley Black previously rejecting an application by Nassif and others to have the examination summons stayed or set aside. Cor Cordis partners Ozem Kassem and Daniel Juratowich allege the company sold properties to related parties at depressed values and neglected to pay sales tax on apartment sales valued at $173 million. Sarkis Nassif responded to SiN's enquiries through his solicitor Marc Ryckmans of Somerset Ryckmans. "Mr Nassif completely rejects the claims made by the liquidators," Ryckmans said. "We note that there are proceedings currently on foot in which my clients have traversed by way of denial each of the allegations raised by the liquidators of 82-84 Belmore Street Pty Ltd (in Liquidation). "In particular the liquidators have alleged that certain units were transferred to related entities at undervalue. This particular allegation is strenuously rejected and my clients assert that all units were transferred at values determined by independent expert valuers." The issue of sales tax is pertinent because the Australian Tax Office (ATO) - potentially the only significant creditor of the company apart from the liquidators - is in the middle of an extensive audit of Nassif and his Holdmark Property Group. 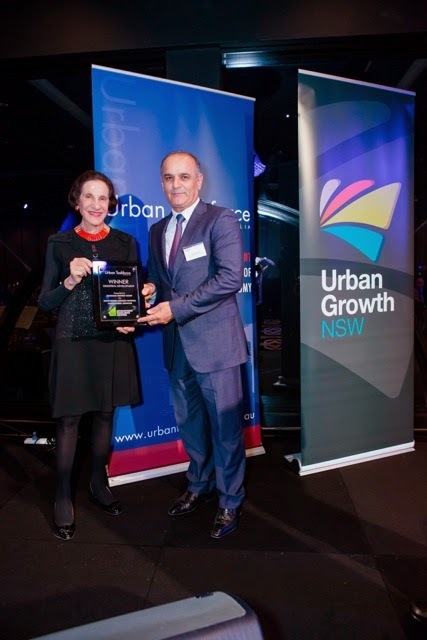 "So far as concerns the ATO, Mr Nassif and his group of companies is a substantial developer. Its current advisers are presently working with the Australian Taxation Office and those discussions remain confidential," Ryckmans said. Initially Kassem and Juratowitch opposed the set aside application, arguing that another opportunity to hold the examinations might not present itself before April 2015 when the three year statute of limitations on challenging transactions on the basis that they may be uncommercial expires. But a statement from the liquidators' lawyer indicates that compliance with notices to produce documents - combined with an unspecified "commercial settlement" between the liquidators and Nassif - was sufficient for them to back off. ANOTHER court date, another legal team and, it seems, another suite of new charges - that's how the torturous bail application of accused fraudster Ian Lazar is playing out with today's proceedings adjourned as new defense lawyer - Brian Wrench from Murphy's Lawyers - indicated that his client would attempt to have the bail application heard in the NSW Supreme Court before Christmas. The prosecution had news for the Court too, in the form of five new charges to go with those that put Lazar in custody in the first place. These include obtaining money by deception; knowingly dealing with proceeds of crime; two counts of conspiring to intimidate a police officer, and one count of conspiring to make a collusive agreement with a member of the NSW Police. Lazar hasn't entered a plea on the new charges but has pleaded not guilty to the original charges relating to defrauding an elderly woman out of her North Coast home back in 2003. However the charges put before the Court today - fortified by the police statement of facts obtained by Sydney Insolvency News - combine to create an amazing tale which began when police pulled over a black BMW on Trafalgar Street, Annandale on August 8, 2012 at 8:55pm. It's not disclosed why police stopped the car. But according to the fact sheet they hit the jackpot. On checking identities of the car's three occupants they discovered the driver was a suspected drug dealer with links to outlaw bikie gangs. Then they conducted a search of the vehicle. Beside the passenger in the back seat - a gentleman identified by police as Arlo Selby - was a black bag, inside which the officers found a solid gold bar valued at $49,000. Under questioning Selby told police the gold belonged to Lazar. When the 43 year old dealer in distressed debt was contacted by police he confirmed he was the owner. The police asked that he bring in confirmation of ownership and created a case file, which was allotted to Detective Senior Constable David Roberts. What the detective did not know at the time was that Lazar was already the subject of a covert investigation by detectives from the NSW Fraud and Cybercrime Division named Strike Force McMaster. And the McMaster Detectives were listening to Lazar's telephone conversations. As Senior Detective Constable Roberts pursued Lazar to authenticate his ownership of the gold bar, Lazar's frustrations mounted, frustrations which he vented by phone to various associates, one of whom was given to engaging alleged standover man Helal Safi as a debt collector. According to the fact sheet, the prosecution will allege that Lazar paid tens of thousands of dollars to Safi to either assault or corrupt Detective Roberts. Incredibly though, according to the fact sheet Safi, who provided Strike Force McMaster detectives with a statement on November 27, ended up being paid $104, 000 by Lazar despite neither assaulting or corrupting Detective Roberts or even attempting to do so. Lazar allegedly paid $55,000 upfront. Then, when Roberts was quietly requested to slow down on Lazar by a colleague because of the Strike Force McMaster investigation, Lazar mistakenly attributed the drop off in pressure from Roberts as the product of Safi's influence. And Safi was more than smart enough to keep shtum when Lazar allegedly told him: "no more phone calls. They've even moved the guy from his position". It was sufficient proof for Lazar, who then paid the second amount of $49,000. The matter is due to return to the Central Local Court on Thursday, December 18, 2014.